Ownership / Access: Waterford Viking Museum. Notes: Reginald's Tower is a historic tower in Waterford, Munster, Ireland. It is located at the eastern end of the city quay. 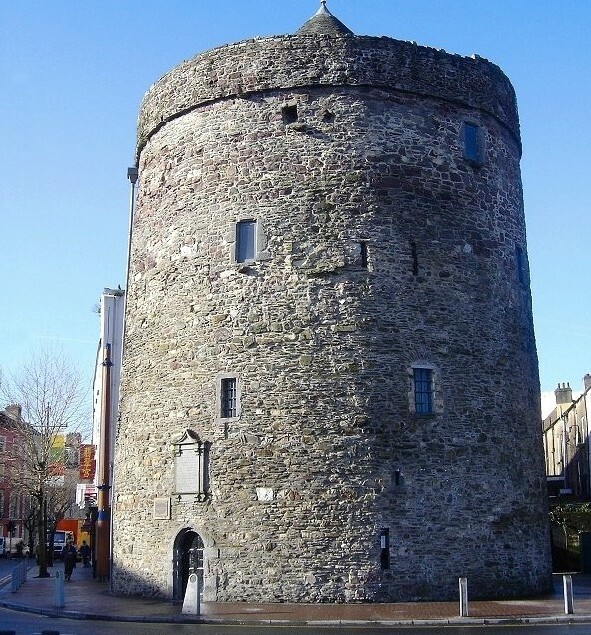 The tower has been in usage for different purposes for many centuries and is an important landmark in Waterford and an important remnant of its medieval urban defence system. It is the oldest civic building in Ireland and it is the only urban monument in Ireland to retain its Norse or Viking name.In 1861, Reginald's Tower became the property of the Waterford Corporation, and the residence of the Chief Constable of Waterford. It continued to be inhabited until 1954, when the last resident left and the building was turned into a museum. During the Emergency it functioned as an air raid shelter. It currently houses the Waterford Viking Museum and exhibits many of the archaeological finds from the 2003 dig at Woodstown on the River Suir near the city.